Allan S. Bloom is a nationally recognized trial lawyer and advisor who represents management in a broad range of employment and labor law matters. As a litigator, Allan has successfully defended a number of the world’s leading companies against claims for unpaid wages, employment discrimination, breach of contract and wrongful discharge, both at the trial and appellate court levels as well as in arbitration. He has secured complete defense verdicts for clients in front of juries, as well as injunctions to protect clients’ confidential information and assets. 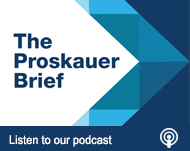 As the leader of Proskauer’s Wage and Hour Practice Group, Allan has been a strategic partner to a number of Fortune 500 companies to help them avoid, minimize and manage exposure to wage and hour-related risk. Allan’s views on wage and hour issues have been featured in The New York Times, Reuters, Bloomberg and Fortune, among other leading publications. His class-action defense work for clients has saved hundreds of millions of dollars in potential damages. Allan is regularly called on to advise boards of directors and senior leadership on highly sensitive matters such as executive transitions, internal investigations and strategic workforce planning. He also has particular expertise in the financial services industry, where he has litigated and arbitrated cases, including at FINRA and its predecessors, for more than 20 years.